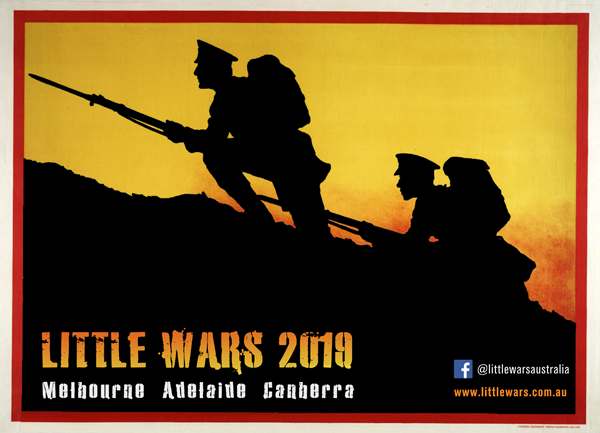 In case you're not aware, Little Wars Melbourne will be on a Saturday this year, and a few weeks earlier than usual. It'll still be on at the Kingston Arts Hall (985 Nepean Highway, Moorabbin) from 9am. Come along and see what Little Wars is all about - entry is via a gold coin donation. I will be there helping with a Wings of Glory WW2 demo game.